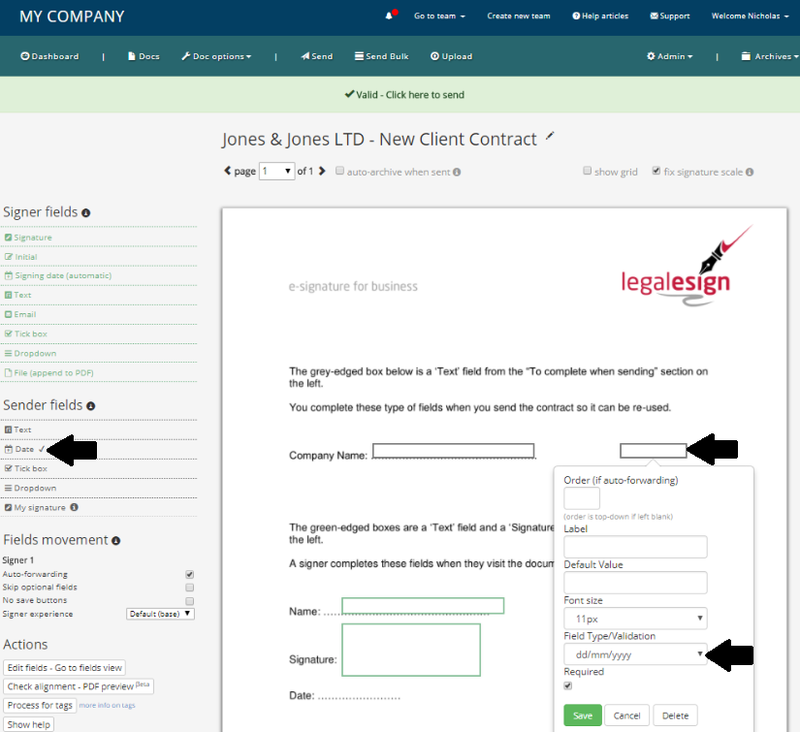 Date fields can be added either to customise your document when sending, or for signers to complete, or which are filled out automatically when the signer visits the document. 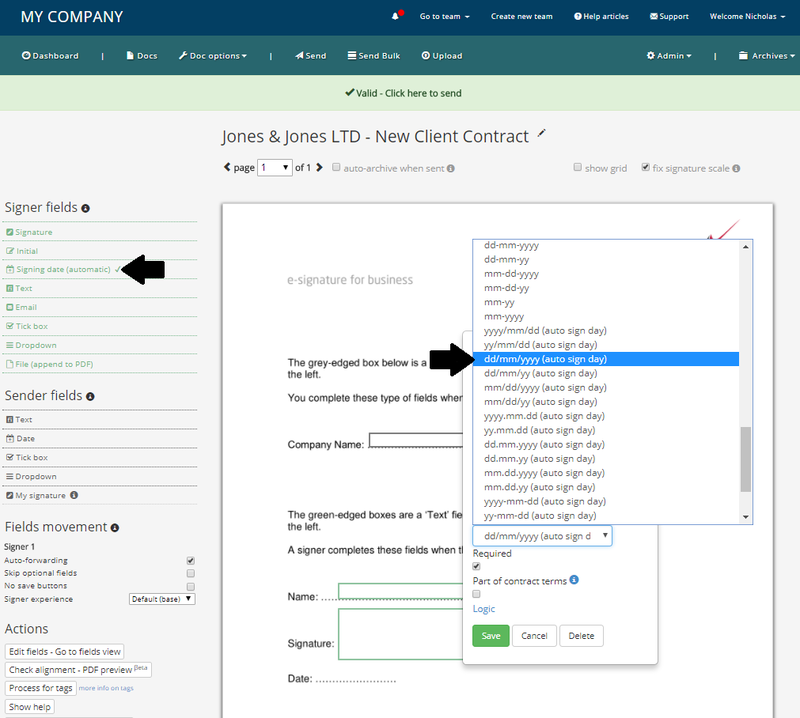 They can be added as sender or signer fields to your PDF on the PDF Edit page. Signer dates fields can be dragged and dropped onto a document from the left hand side of the edit page. The format is set to "dd/mm/yyyy (auto sign date)". "Auto sign day" is the key bit here. It means the signing date will go in automatically when the signer access their document. To change the format click on the field, then on field type/validate and select the date format required - remember, select an "Auto sign day" for the auto-magic. Sender date fields are on the left hand side of the PDF edit page . Drag and drop them onto your document page. The format is set as dd/mm/yyyy. To change the format click on the field to see its form and then click the 'Type/Validation' option and select another format, e.g. mm-dd-yy.